I've always thought of the crust of the pie as something I absolutely cannot do, so this recipe is designed for those of you are similarly fearful. The recipe takes time, but not labor, which is great. 1. In a 9 inch pie plate, sift flour, sugar and salt. make a well in the center and pour in oil and milk. Mix with a fork, then press into the bottom and sides of pie plate. 2. To bake: Preheat oven to 450 degrees F (230 degrees C.) Bake for 8 to 10 minutes, or until golden brown. 1. The oven is warm from the crust, but bring the temp down a notch to 350 degrees F (175 degrees C). 2. Heat oil in a large skillet over medium-high heat. Add onions and cook, stirring occasionally, until onions are soft. Stir in kale and continue cooking until the kale shrinks a bit. 3. In a large bowl, (or in the skillet, if it's cooled down a bit) combine eggs, cheese, salt and pepper. Add mixture to crust. You can play around with the amount of eggs and cheese you use. You can also experiment with the types of cheese you use. I like quite a bit of cheese, but it may depend on how healthy you're trying to make the recipe. I usually take about 90 minutes from start to finish, even though the cooking times are far less, partly because I'm hanging out with Noah at the same time. Much of that time is not hands-on, though, so it doesn't feel like a time-intensive meal. I love this recipe because it helps us eat a ton of kale in one sitting. 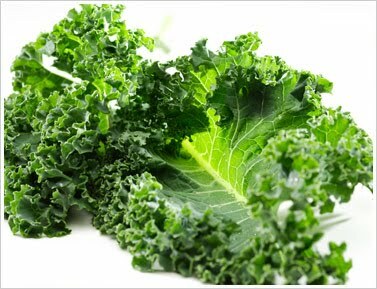 Kale is a cruciferous vegetable with huge amounts of Vitamin K, A and C. I love this recipe because it's cured me of my fear that the kale will sit in the fridge until it gets mushy. I look forward to trying it (kale is an intimidating vegetable). One of my favorite fall meals is squash-apple soup. It's a very forgiving recipe, just involving one caramelized onion, then about equal parts butternut (or other squash), green apples, vegetable stock, and white wine (or, if you prefer something more savory, leave the wine out, add some thyme and sage to the stock, and a dash of cream while eating). Cook together, blend, and eat! It does taste best with lots of cooking time, but the time it needs isn't very hands on. It also freezes very well, and can easily be adapted to include a variety of miscellaneous vegetables that need using up. Thank you Caitlin! I want to try this recipe. Are you experiencing Spring rather than Fall at the moment? aah the jacarandas. I have a little mimosa tree in my office and it looks enough like a jacaranda to remind me of Durbs. I guess purple is never a bad idea. I'll let you know as soon as I try the soup. Can I read your thesis when it comes out? Just tried this kale quiche recipe. It turned out splendidly for the most part, but I think I did something with proportions of the oil and the flour for the crust: tasty but too crumbly to hold. I used marmite instead of cheese, as yeast extract gives a similar tangy taste! Thanks for this recipe, Jo! It'll go into my stock faves!